I spoke a little about my recent trip to Virginia Beach yesterday, but one thing I didn't mention is that, for my birthday dinner, my friends took me to this great sea food buffet called Captain George's. I will be honest with you. I was a little...how do I put this...frightened. That's because anyone who knows me, KNOWS that sea food is not my thing, but I decided to put my big girl pants on and give it an honest try. The result? I LOVE CRAB LEGS, SCALLOPS, AND MUSSELS!!! Three things I would have never tried had it not been for this experience. I knew immediately I wanted to make these delicacies of the sea at home, so on our way out of town we stopped at this great, local sea food market called Dockside. There I bought the most beautiful crab legs, sea scallops, and mussels you have ever seen. Not only that, but I got to talk to the fish guys about the best way to prepare them. That is another reason to always shop local. These guys KNOW their product and they will NOT steer you wrong. 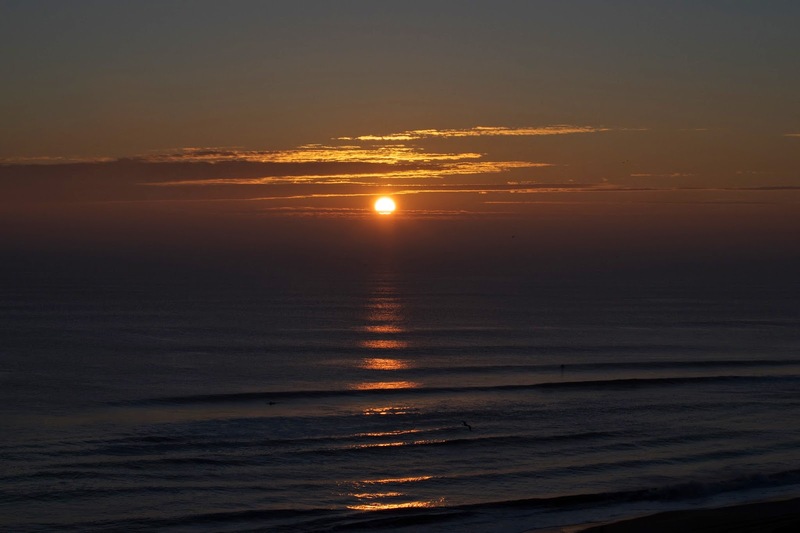 So feeling confident and prepared, I headed back home to West Virginia to begin my new found sea food journey! 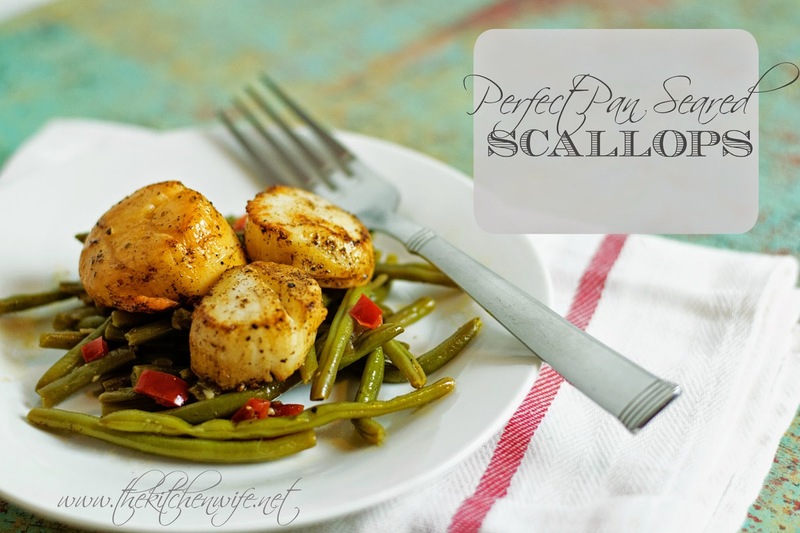 I decided to start with Perfect Pan Seared Sea Scallops, and though it sounds a little intimidating, it couldn't be easier! I can't wait to show you how I did it so let's get started! To begin, place a non-stick skillet over medium/high heat and allow the pan to get HOT. 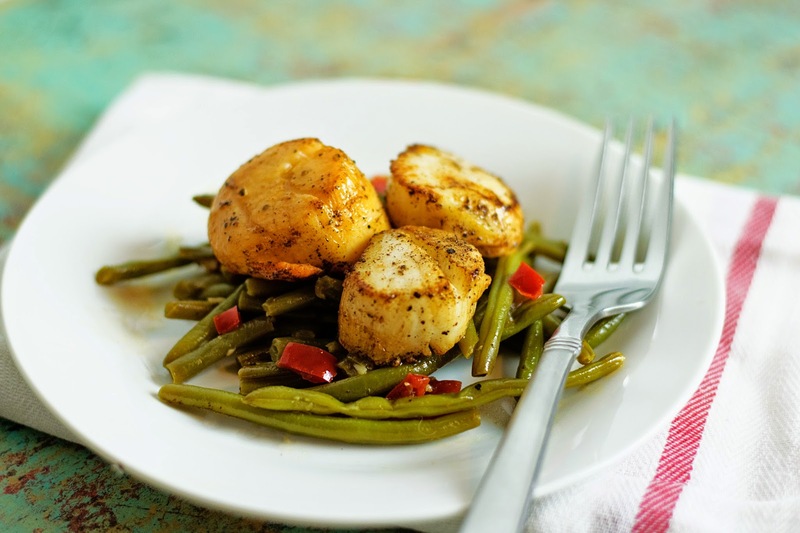 While the pan is heating, place the scallops on a paper towel and blot dry. This is important because if the scallops are too wet they will steam not sear. Now add the oil and butter to the pan. Let the butter melt until it is no longer foaming. Season the scallops generously with salt. In a clockwise formation around the pan, place the scallops in seasoned side down. Let the scallops cook for 1 and a half minutes. Then flip and cook for another minute and a half. Place a non-stick skillet over medium/high heat and allow the pan to get HOT. Now add the oil and butter to the pan. Let the butter melt until it is no longer foaming. Season the scallops generously with salt and pepper. Next season the other side of the scallops with salt and pepper.